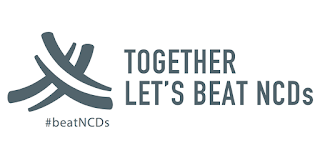 A 5/31/17 article by Michael Bloomberg underscores that for the first time in human history, deaths from non-communicable diseases (NCDs) like diabetes, cancer, heart disease and chronic respiratory disease outnumber deaths from communicable diseases like malaria or influenza. According to the World Health Organization, NCDs accounted for 88% of total deaths in the United States as of 2014. These deaths are largely preventable. It is time for the United States to prioritize management of NCDs. Bloomberg outlines recommended interventions including improved data collection, better tobacco control, obesity prevention, and vehicle and road safety. Nursing’s strong focus on the prevention and management of NCDs uniquely position our profession to stand up as trusted leaders in the field. The National Nurse for Public Health will emphasize prevention and help to improve health outcomes, particularly with respect to deadly, costly non-communicable diseases. 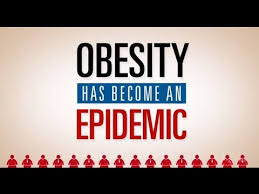 Obesity represents a growing public health crisis that contributes to other illnesses such as diabetes, heart disease and musculoskeletal disorders. A 6/12/17 study published by the New England Journal of Medicine explores the global pandemic of obesity. In 2015, the United States had the highest global rates of childhood obesity at 12.7%, while 33.1% of US adults were obese. According to the New England Journal of Medicine, overweight and obesity contributed to about 4 million deaths globally in 2015. Changes in food systems that have reduced access to healthy foods, along with decreased physical activity were notable contributing factors to the obesity epidemic. Now more than ever we need a National Nurse for Public Health to lead on the front of obesity prevention and management. A January 2017 study by the University of San Francisco published in the Journal Pediatrics suggests that e-cigarettes are attracting adolescents who would not otherwise have used tobacco products. The National Institute of Health, [https://www.drugabuse.gov/related-topics/trends-statistics/infographics/teens-e-cigarettes] found high numbers of adolescents are exposed to e-cigarettes, and about 30.7 percent of e cigarette users go on to smoke combustible tobacco products. 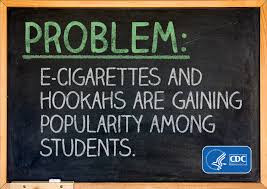 E-cigarettes lack consistent regulation, and marketing is often targeted specifically toward teens. The Centers for Disease Control and Prevention reports that cigarette smoking has been connected to greater than 480,000 deaths per year in the United States. Looking back at Bloomberg’s recommendations to decrease mortality rates from non-communicable diseases, improved tobacco control stands out as a priority. The National Nurse Act of 2017 (H.R. 1651/S. 1106) promotes public health and prevents illness and death associated with tobacco use. Few topics in public health are more salient than the current opioid epidemic in the United States. The New York Times article, Drug Deaths in America Are Rising Faster Than Ever including devastating statistics. Drug overdoses now represent the number one cause of death in Americans under the age of 50. The problem worsened dramatically in 2016 and is only expected to escalate in 2017. An estimated greater than 2 million individuals are thought to be opioid dependent. This public health crises sweeping our nation demands action. 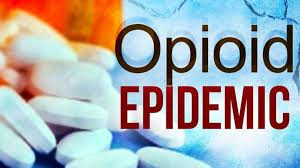 Nurses are uniquely capable of helping to address opioid dependence and other substance use disorders through a comprehensive management approach. As the nation faces these ongoing health challenges, a National Nurse for Public Health can work alongside other policy leaders and health professionals to steer the United States in its course toward better health. 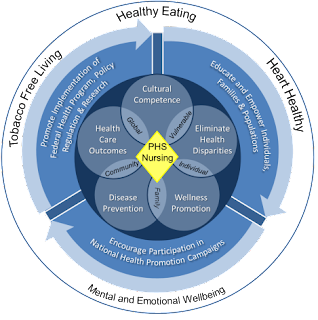 The goals listed in the above diagram developed by the U.S. Public Health Service Nursing Category are completely aligned with what the National Nurse Act is asking for&dash;educating and empowering individuals, families, and populations and encouraging participation in national health promotion campaigns. It is time to pass this bill! 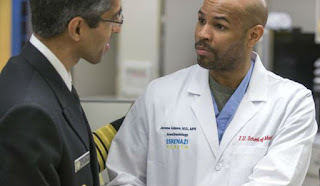 The National Nursing Network Organization welcomes Dr. Jerome Adams as the 20th Surgeon General of the United States. Prior to his confirmation on August 3, 2017, Dr. Adams served as health commissioner for the state of Indiana. His background also includes clinical practice as a board-certified anesthesiologist and as a professor of anesthesia at the Indiana University School of Medicine. He received undergraduate degrees in both biochemistry and biopsychology prior to obtaining a medical degree from Indiana University School of Medicine and a Master's Degree in Public Health at University of California Berkeley. In his role as Indiana Health Commissioner, Dr. Adams led the state’s response to an HIV outbreak through strong advocacy for needle exchange programs. He brings a dedication to chronic disease prevention and management that aligns with the values represented via the National Nurse Act of 2017. During his congressional confirmation hearing, Dr. Adams identified combating the country’s opioid epidemic and addressing mental illness as key public health priorities. Other top concerns include addressing healthcare access and continuing efforts toward curbing obesity-related illness. SG Adams highlighted the value of health promotion, stating “much of our national focus is on providing care after a person has already developed a disease, but far too often this represents multiple missed - and more cost-effective opportunities to have mitigated or even prevented the problem.” His remarks further stressed the importance of interdisciplinary healthcare team members, including nurses, in leading the nation toward improved health. Dr. Adams replaced Acting Surgeon General, Rear Admiral Sylvia Trent-Adams . RADM Trent-Adams was the first nurse to temporarily fill the role of Surgeon General, a vacancy left upon the departure of previous Surgeon General Vivek H. Murthy, MD. The National Nursing Network Organization looks forward to working collaboratively with Dr. Adams and his team to promote and improve health outcomes of the United States’ population.